Inspired by the sunny Amalfi coast of Italy, a new pizzeria has arrived at The Pulse, the beach side arcade in Repulse Bay which also houses the likes of Cantonese Meen and Rice, Japanese Shoku, exotic Balinese Tri and sustainable seafood-themed The Ocean. The latest to join the fray is Amalfitana, a casual Italian concept. The simple menu showcases traditional Italian dishes in the form of light bites and small plates for sharing. Taking the helm of the kitchen team is head chef Michel Degli Agosti, an experienced pizzaiolo, or pizza maker, creating the famed Italian breads showcasing varieties from classic Margherita and Quattro Formaggi (four cheeses) to chef special pizzas such as the Il Capo (tomatoes, mozzarella, porcini, rocket leaves and black truffles shaved tableside). We were invited to sample several versions, and the pizzas arrived with a thin crust, with a promising crack, while toppings are generously scattered across a bed of creamy cheeses. The 60-seat pizza restaurant also prides itself on its beverage programme with cocktails, such as a list of spritzes as well as a negroni with various creative twists. The varieties of limoncello infusions also give the traditional aperitif a welcoming twist, from zingy ginger to earthy rosemary. 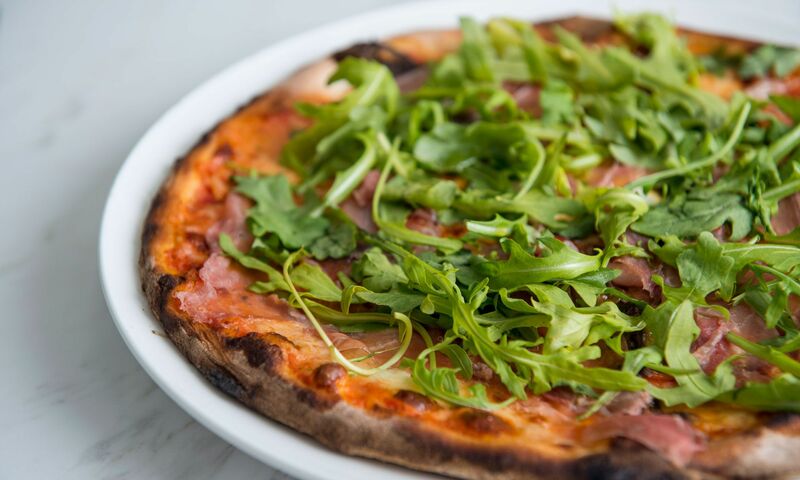 All are made in house and served ice-cold, are perfect for a rich pizza feast. Amalfitana strongly encourages reservations, with an option for walk-ins when available.